A new Fordham center explores difficult questions surrounding race and the law. People from all walks of life and from all corners of the world call New York City home. After all, the city is the source of the Harlem Renaissance, site of the largest Chinatown in the United States, epicenter of the Nuyorican Movement, birthplace of hip-hop—an urban greenhouse for diverse individuals and communities to put down roots. In New York, America’s largest city, racial and ethnic minorities are, in fact, a two-thirds majority. Still, not everyone is blossoming in the Big Apple; structural inequality, implicit bias, and racial discrimination—problems that plague other, less diverse pockets of the nation—exist here. New Yorkers must account for gentrification, stop-and-frisk, the death of Eric Garner. 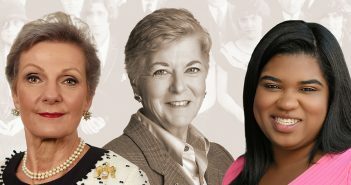 Our School—with its longstanding commitment to social justice issues and a faculty that includes some of our nation’s foremost legal scholars and experts on matters of race and equity—has a unique capacity to generate legal scholarship and research that can help to identify, analyze, and create new solutions to the key civil rights challenges of our time. 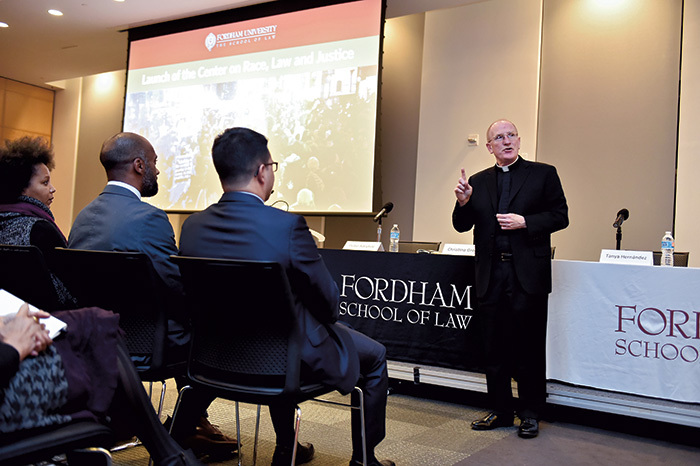 On February 29, Fordham Law School launched the Center on Race, Law and Justice, the city’s first law center addressing broad issues of structural racial inequality and justice. The center, directed by Professor Robin Lenhardt, looks to launch a scholarly, interdisciplinary inquiry into race that considers how the law structures racial inequality and disadvantage. In doing so, it will marshal the expertise and scholarship of dozens of Fordham Law professors and scholars in other University departments to intervene in current debates about race and democracy in the United States, as well as race and inequity in the global context. Panelists at the February 29 launch of the Center on Race, Law and Justice. 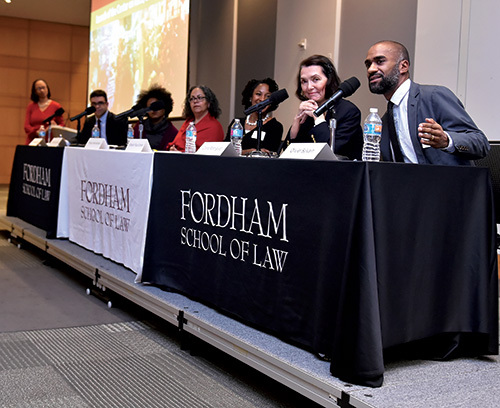 “Our School—with its longstanding commitment to social justice issues and a faculty that includes some of our nation’s foremost legal scholars and experts on matters of race and equity—has a unique capacity to generate legal scholarship and research that can help to identify, analyze, and create new solutions to the key civil rights challenges of our time,” Fordham Law Dean Matthew Diller says. 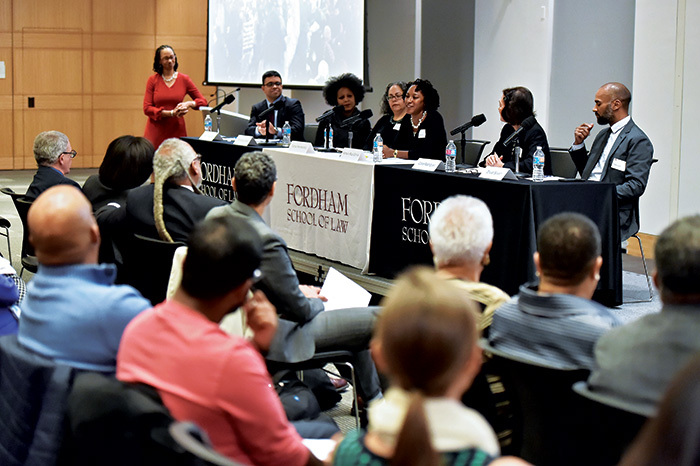 The launch of Fordham Law’s Center on Race, Law and Justice comes at a time when the United States is in the midst of “a national conversation about race and inequality unlike any we have seen in a generation,” according to the center’s leaders. The deaths of African Americans at the hands of police in places like New York City; Ferguson, Missouri; and North Charleston, South Carolina, have highlighted racial inequality in the criminal justice system and have inspired deeper inquiries into the cumulative racial disadvantage faced by minorities in other sectors as well. We, as a public, presume that, because we have so much diversity in our city, we don’t have the same problems that exist elsewhere. This is a myth. According to the 2010 U.S. Census, African Americans and Latinos account for 54 percent of New York City’s population while Asians represent 12 percent. Non-Latino whites compose 33 percent of the city’s population; nationally, whites make up 69 percent of the population. Fordham Law’s commitment to a broad exploration of race-based issues and its explicit focus on identifying the law’s role in structuring inequality and opportunity in society distinguish it from its New York–based peers, Lenhardt says. Joseph M. McShane, SJ, president of Fordham University, at the center launch event. “Certainly no one has embraced the idea that it is important to do this both for domestic and global issues of race and justice,” the professor says. She hopes that, by looking outward, the faculty will gain traction on domestic issues. 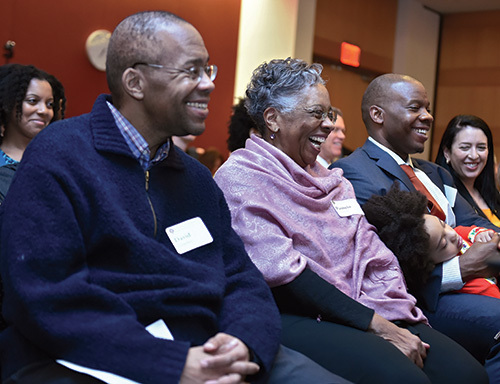 The Law School’s distinguished faculty experts on race, its clinical programs engaging issues of race and equity, and its ability to partner with student groups, other Law School-based centers, and organizations like the United Nations ensure that the center’s foundation is strong. 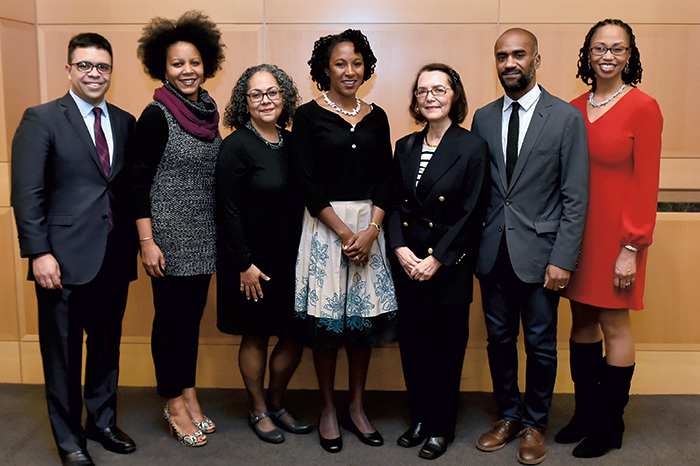 Through interdisciplinary scholarship and analyses of race and inequality as well as academic activities inspired by substantive research, the center hopes to influence discrete approaches to race and law. The center’s major challenge in achieving this influence, according to Paul-Emile, will be its “ability to address urgent racial justice issues as they arise,” and its capacity to serve as an “action center” where people convene to discuss the meaning and potential responses to these issues. “Robin is the perfect person to lead this effort because she is so prominent in the world of race scholars and so attentive to the type of scholarly and doctrinal thinking needed to confront racism on the ground,” says Professor Jennifer Gordon, who has collaborated with Lenhardt on multiple papers detailing the role the law plays in the intersection of race and immigration. The center’s other associate director and its head of global and comparative law programs and initiatives is Professor Tanya Hernández, who has taught Antidiscrimination Law, Comparative Employment Discrimination, Critical Race Theory, and the Science of Implicit Bias since joining Fordham Law in 2009. Adegbile, partner at WilmerHale and former acting president and director-counsel of the NAACP Legal Defense Fund, delivered the keynote at the center launch event. Fordham community, and the greater New York community to important transnational conversations and activism occurring in the metropolitan area. These problems often present themselves to the highest levels of the judiciary. In early February, for instance, the Supreme Court heard a case that seeks to roll back President Obama’s executive actions designed to protect millions of undocumented immigrants. Hernández acknowledges the Court’s current makeup provides a challenge for immigrants of color seeking to live and work in America, and she hopes the center’s scholarship and programming can assist in illuminating the best way forward. Gordon, who studies immigration policy and advocates for migrant workers, shares Hernández’s enthusiasm for the center’s international focus, in addition to its domestic one. There is a need for increased education about migrant workers and their cultures, Gordon says, to prevent negative outcomes when they reach the United States. Gordon and Lenhardt co-authored a paper titled “Rethinking Work and Citizenship” for the UCLA Law Review in 2008. The article critiqued existing theories on work and citizenship between low-income African-American and Latino immigrant workers, notably the extent to which a group’s race, formal citizenship status, and history affect its relationship to work. The professors had nothing comparable to the Center on Race, Law and Justice in 2008, so they had to look elsewhere for a proper platform. highest-ranking black executive in professional sports in the 1970s. From left, son David, wife Patricia, son Peter ’08, grandchild Ella, and daughter-in-law Rebecca Fine. Not pictured are daughter Laura, and step-grandchildren Marco and Zoe Balestri. She notes her first collaboration with Lenhardt for the new center will examine the national movement to increase the minimum wage among service workers, known as the Fight for $15, and how the push for this type of reform particularly affects African-American and Latino workers. I think that, in many ways, the law is ill-equipped to resolve the challenge of modern racial inequality. This is because many laws and legal doctrines were created a a time when state-sanctioned segregation and overt bigotry and discrimination were the norm. Paul-Emile, who also serves as a faculty co-director of Fordham’s Stein Center for Law and Ethics, prides herself on interdisciplinary research and scholarship in diverse areas such as law and biomedical ethics, law and inequality, and health law. Not surprisingly, she sees the center as a launching pad for creative evaluations of the law and race that crosses scholarly boundaries with qualitative and quantitative social sciences, including history, sociology, American studies, and political science. Innovation, in this regard, might mean looking for answers outside the traditional judiciary realm. Paul-Emile cites Lenhardt’s Hastings Law Journal article that describes one such extrajudicial strategy: a “race audit,” which brings together a “community of inquiry” to assess the segregative effects of an area’s policies and programs. “I think that, in many ways, the law is ill-equipped to resolve the challenge of modern racial inequality,” Paul-Emile says. “This is because many laws and legal doctrines were created at a time when state-sanctioned segregation and overt bigotry and discrimination were the norm. Panelists at the launch event. The School’s emphasis on interdisciplinary race-related work can be seen in Center on Law and Intellectual Privacy Director Joel Reidenberg’s research on big data and surveillance as well as Professor Olivier Sylvain’s scholarship on communications law and Internet governance, both of which contain implications for people of color. With the aid of the new center, Sylvain aims to analyze and better understand, among other things, how the propensity for African-Americans and other minorities to browse the Internet on mobile devices, as opposed to laptops or personal computers, potentially makes them more susceptible to law-enforcement surveillance. The center will also help professors become more familiar with each other’s work, including those who are working in the larger Fordham University community, in disciplines such as Latin American and Latino Studies and African and African American Studies. “There are many talented people here, but we don’t have a lot of opportunities to speak to each other, share with each other, and collaborate,” Hernández says. A recent conference on the financial and political status of Puerto Rico, hosted by University Professor Arnaldo Cruz-Malave, illustrated these disconnections for Hernández. The workshop happened just “a courtyard away,” in the Lincoln Center campus’s Lowenstein building. “Had we known ahead of time that this event was happening, we could have offered support, participation, and talked about legal angles,” Hernández says. The Center on Race, Law and Justice will bridge these communication gaps. As Gordon is working on a project with Lenhardt for the center, so too is Professor Clare Huntington. Huntington and Lenhardt are preparing a 2016 symposium to celebrate the 40th anniversary of Moore v. City of East Cleveland, in which the Supreme Court ruled unconstitutional an Ohio city’s zoning ordinance that had prevented a grandmother from living with her grandchildren. “As the center focuses on issues of race, family, and inequality, I know it will enrich my work as a scholar and a teacher, as well as the educational experiences of our students,” Huntington says. While the center is definitely a selling point for the Law School, its primary purpose is not to impress marketers; rather, it represents a major learning tool for current Fordham Law students. Hernández hopes to involve law students in preparing reports before the United Nations, through connections with Gay McDougall, the Leitner Center’s distinguished scholar-in-residence. Students have expressed interest in developing the skill set to become public intellectuals on law and race, specifically to address race in honest and straightforward ways that are not only about attitudes and bias but also about dismantling racial privilege. In other words, the Law School’s students have become an energizing force. The center will also sponsor course offerings on race, improved teaching on race issues, a possible racial justice clinic, a reading race book club and film series, and center-based fellowships and outside student civil rights externships, employment opportunities, and research assistant positions. Debo Adegbile, Christina Greer, Tanya Hernández, Kimani Paul-Emile, Clara E. Rodríguez, Olivier Sylvain, and Robin Lenhardt. The leaders of Fordham-based chapters of minority law student associations have praised the center’s launch. 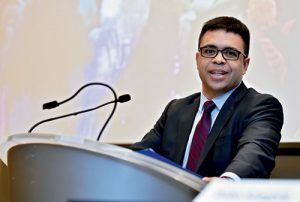 “I believe this is a very important step for Fordham not only to position itself as a leader in the interdisciplinary study of race and law in New York City but also to promote diversity and inclusion in the community,” says Carlos F. Ugalde, president of the Fordham Law chapter of the Latin American Law Students Association. “In addition to encouraging legal scholarship, the center will be instrumental in exposing students to different cultures, experiences, perspectives, and values, which, in my view, is crucial to the expansion of the community’s intellectual and ideological barriers,” he continues. Ideas of diversity and multiculturalism often receive lip service at Fordham Law School, contends John Minor, president of the Fordham chapter of the Black Law Students Association. However, the new center will not only allow students a place to discuss issues they encounter on a daily basis but also provide people in the New York area the opportunity to broach topics of race and discrimination. Minor hopes the center also “plants a flag on the mountain” for Fordham Law School as a destination for students of color, particularly African Americans. “Hopefully this can be a beacon and demonstrate to black students who want to be lawyers that this is the place you should go,” Minor says, predicting the center will boost future minority interest and enrollment.